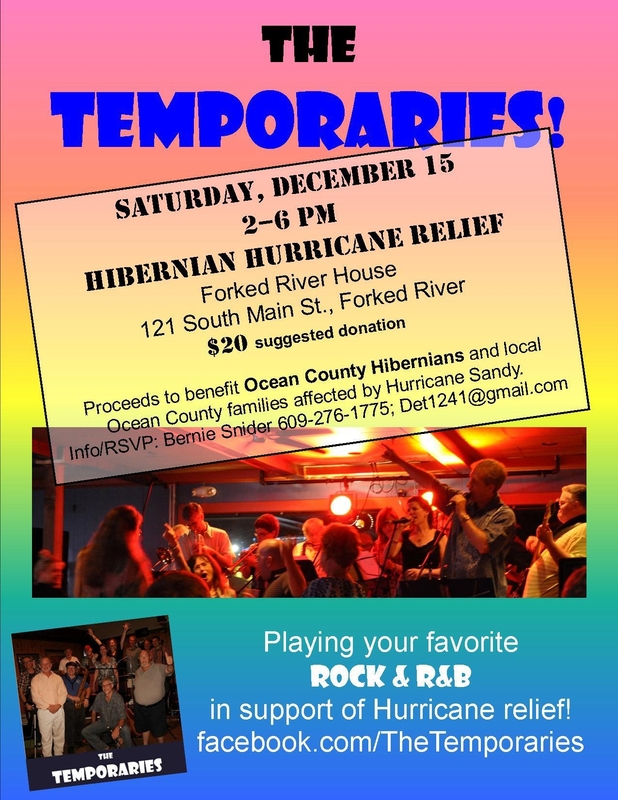 Sat December 15th 2PM-6PM at the Forked River House located at 121 South Main Street in Forked River. Entertainment by the Temporaries. 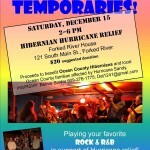 Proceeds to benefit Ocean County Hibernians and local Ocean County Families affected by Hurricane Sandy. Info: Bernie Snider 609-276-1774 [email protected] Suggested donation $20.